Six persons died and six went missing after heavy rains lashed Kalimpong subdivision last night and caused landslides. The extent of damage caused by the 137mm rain, which Kalimpong received in 24 hours since 8.30am yesterday, is not yet known. "Six persons died and another six are untraced. Of the six deaths, two are in the Kalimpong municipality area, two in block I, one each in blocks II and III," said Radhika Aiyar, the subdivisional officer of Kalimpong. The rain triggered landslides at different places, causing widespread damage to houses, farmland and roads. Six persons have been officially categorised as missing. 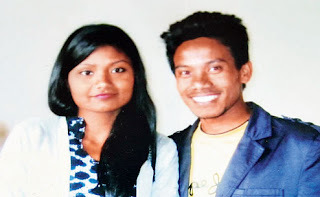 They are Ramesh Rai and Kusum Rai his wife from Nurserygaon at 7th Mile on the outskirts of the town and a four-member family from the remote Lingseykha village near the border with Sikkim. Their names are not yet known. The deceased include the son of the missing farmer couple, Amrit Rai, 9 who died after their house was swept away by a huge landslide when the family was sleeping. Sanjay Gazmer, 30, and Priya Sarki, 25, died when their kutcha house came under slush during a landslide at Topkhana in the 11th Mile area of the town. Alisha Rai, 18, of Minbusty in Gorubathan, D. Doma Sherpa, 14, from Lava village in Algarah block and Jai Prakash Rai, 60, from Paiyung village in Algarah block are also among the deceased. Amrit Rai's elder brother, Vivek, 14, was injured in the incident, and is recovering at the Kalimpong subdivisional hospital. Road links to many villages have been severed and acres of farmland have been destroyed. "We are completely cut-off from the rest of the world. Please come and see our plight," said a teacher of a school in Gitdabling village, around 30km from here. D. Nag, the block development officer of Kalimpong II, said many roads had been damaged and had cave-ins. "Many villages in my block cannot be reached by road because of the damage caused by the landslides. We are finding it difficult to send teams to carry out damage assessment," he said. P. K. Pal, the assistant meteorologist of the flood meteorology office in Jalpaiguri, said the amount of rain Kalimpong received in a period of 24 hours could be categorised as "very heavy". "Yesterday, we had issued a warning for heavy rain in sub-Himalayan Bengal for the next 72 hours, but what happened last night was very heavy rain," he said over the phone.